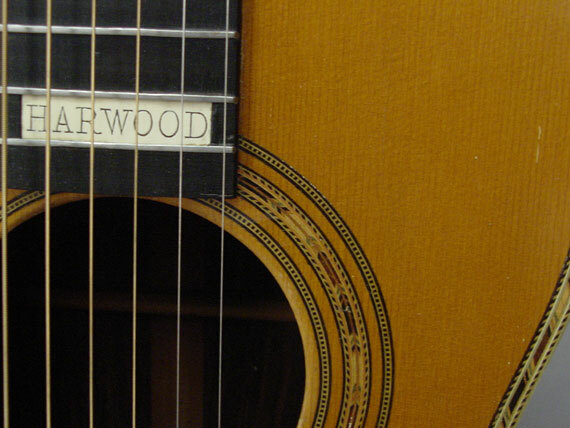 I wish we could see more of these Harwood instruments. 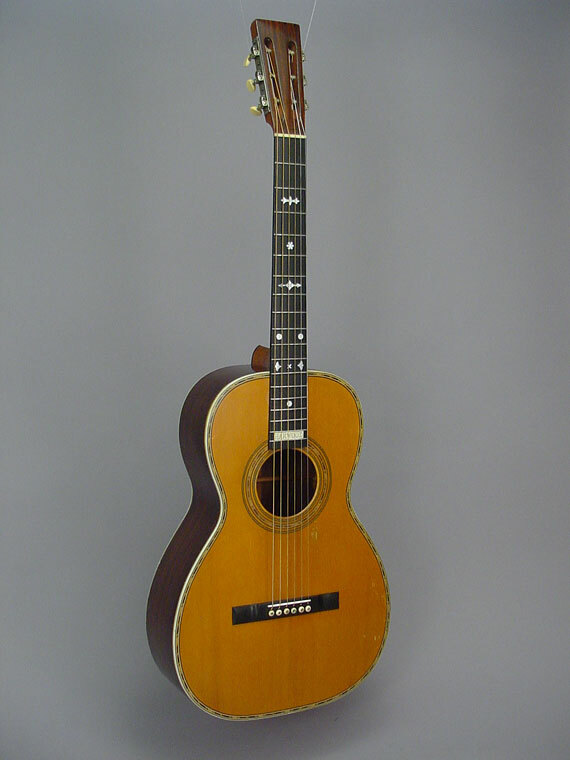 They were built with nearly the same delicacy and craftsmanship as Martin guitars, and they sound great. 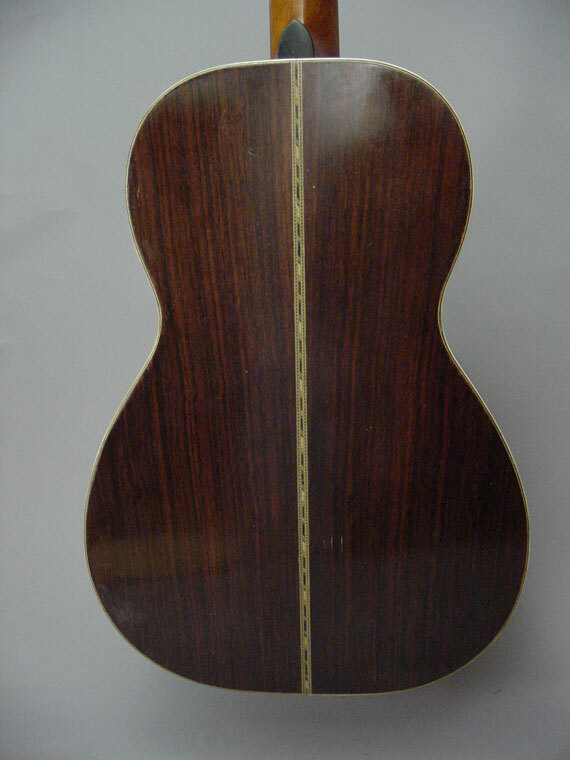 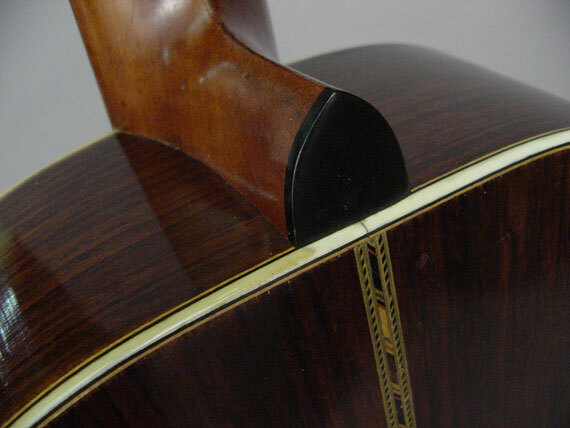 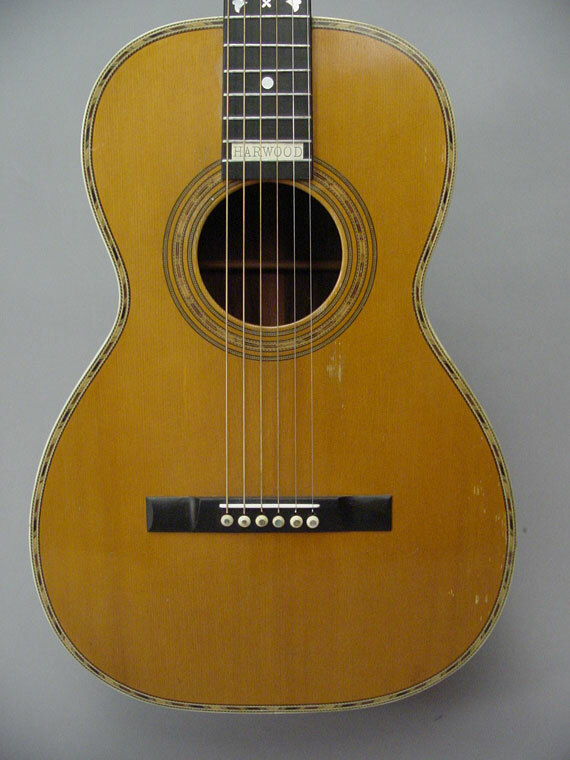 This particular guitar is a concert size with rosewood back and sides. 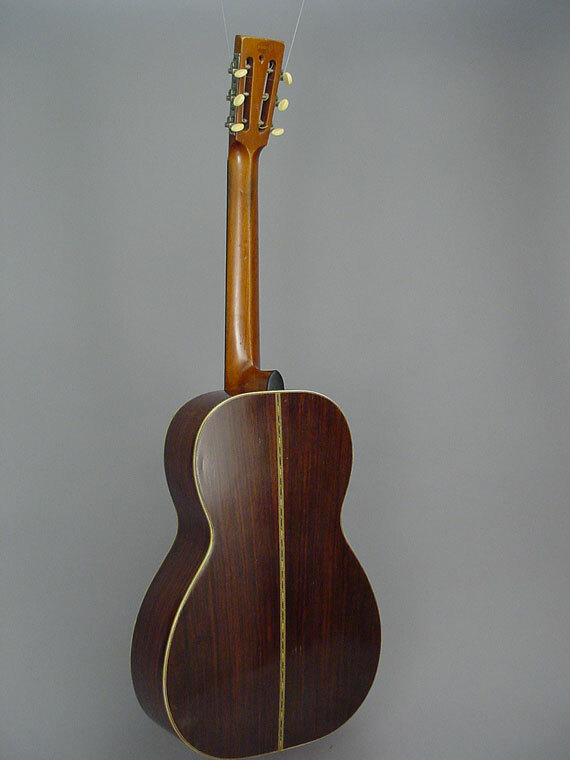 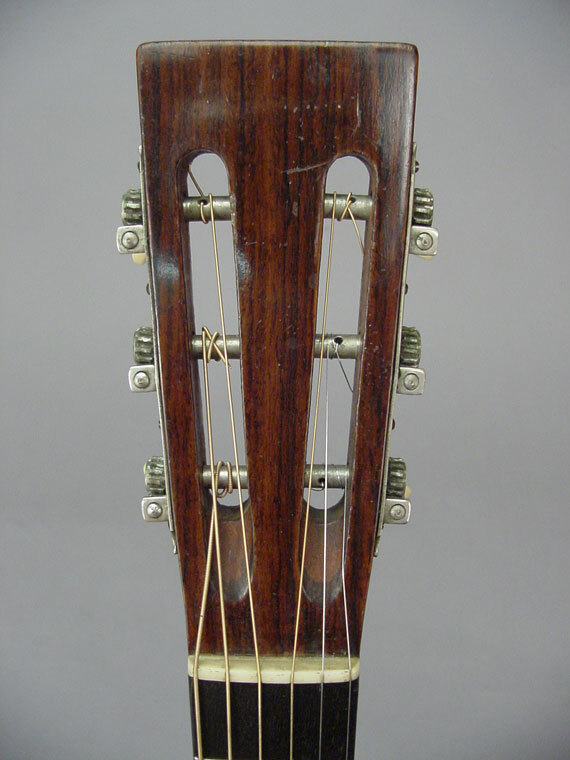 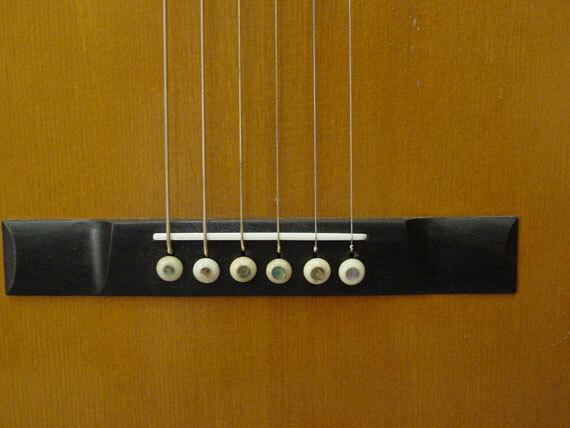 Until this one came along, all the Harwood guitars and mandolins I'd seen were been mahogany instruments. 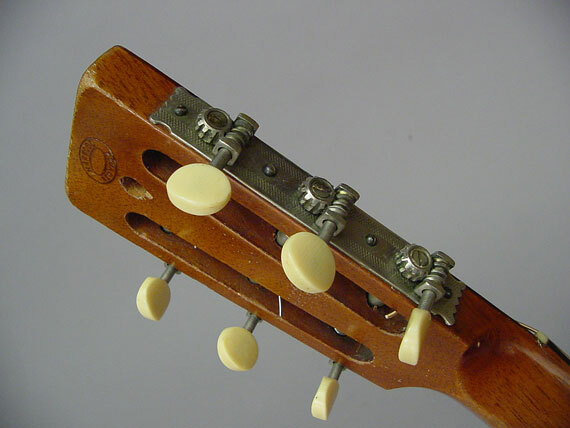 They've also had that cool white celluloid brand at the end of the fingerboard.